There is a huge un-dieting movement afoot whose missionaries contend that eating food mindfully and savoring each bite eliminates the need to adhere to a strict eating plan. The idea is we often eat too much -- and usually the wrong things -- because we are eating while doing something else. Reading the newspaper. Working at our desks. Watching TV. Driving in the car. I, myself, have been "guilty" of all of the above. And yet when I tried to lose weight by un-dieting, paying close attention to each bite and attempting to eat as clean as possible, my stubborn pounds remained. The fact is, I enjoy eating while doing something else. The trick was to find foods that did not make me fat. One of the things I love most about Medifast is that it's the perfect diet for multi-taskers like me. I often don't make time for lunch before work, so I blend up a shake and drink it in the car. Racing the clock in the late afternoon, I snack on a bag of Medifast chili cheese puffs or chocolate peanut butter chewy bar. A bowl of chocolatey brownie batter makes catching up on my Facebook or watching TV before bedtime even sweeter. "The old-school meal begins with food, proceeds with mindless eating, and ends with feeling stuffed and existentially empty. The new meal begins with a first course of relaxation, proceeds with a second course of self-awareness, and then progresses into mindful, conscious, intimate appreciation of the world at large through food. " As lovely as the mindful eating scenario sounds, there is a reason people eat popcorn at the movies. Eating makes the movie subconsciously more pleasurable. Though one's mind may not be deliberately focusing on the food, the food intensifies the movie watching experience. The truth is, eating while doing something does not make me feel existentially empty. It is part of a lifestyle I have deliberately chosen, and thankfully Medifast has provided me with foods that make this habit consistent with maintaining a healthy body weight. On the surface, the Medifast diet is a world apart from the Paleo way of eating. Medifast replacement meals are processed foods, many of which include gluten and/or dairy. The first ingredient of Medifast Macaroni & Cheese, for instance, is semolina; the third ingredient, cheddar cheese. Yet the Medifast lean & green meal is very Paleo friendly -- a large serving of protein with plenty of vegetables. Can eating more like a caveman help maintain a healthy body? As I taper off the weight loss phase of the Medifast diet, I realize how well the Paleo diet -- popularly known as the caveman diet because it harkens back to man's diet before agriculture -- can support a life-long maintenance plan. Eating mostly quality meat protein; vegetables; fruits; and nuts and avoiding grains; dairy; legumes; and salty, chemical laden processed foods supports permanent weight loss and intestinal health. Though I am not yet convinced becoming a rigid Paleo is in my dietary future, I am open to the idea that severely limiting grains and processed foods could be a powerful strategy to maintaining my new healthy body. You can purchase Medifast replacement meals directly from Medifast Centers, the Medifast website or -- for less cost -- through the co-branded website of a Medifast TSFL health coach. Medifast does not recommend purchasing its products from third party vendors, but if you choose to do so, you can find them on both Amazon and eBay. 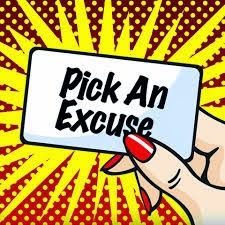 Planned Exceptions: What Is Your Pie Policy? Follow Nancy's board Low Carb Recipes on Pinterest. Really Medifast, I adore you. But would it be so hard to include soaking instructions on some of your replacement meals that need time for the water to be absorbed? For any newb who has ever taken her first taste of chili or mac and cheese and almost broken a tooth, you know what I'm talking about. Medifast does not include instructions on its replacement meal packets for making some of its, er... crunchier meals palatable. Cooked as prepared, they're not al dente... they're dentist bait. 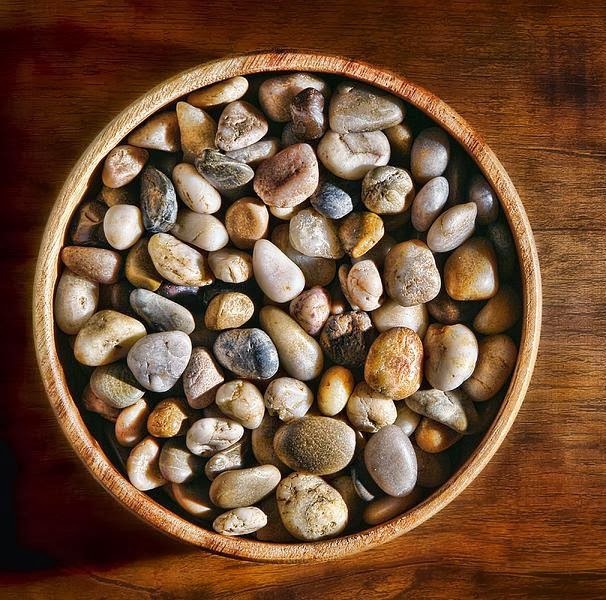 so you won't feel like you're eating pebbles. I remember the first time I tried the mac and cheese and couldn't believe anyone would want to eat a bowl of pebbles instead of pasta. After a quick Google search, I realized my folly. It seemed like all the experienced MFers knew you had to soak your savory replacement meals for at least a half hour. Some soak them for three hours or even over night, preparing several portions at once and storing them in the refrigerator. My routine is to start soaking my lunch right after my breakfast so the texture is just right when I microwave it. This makes the vegetable protein "meat" in the Sloppy Joes actually chewable and puffs up the pasta in the chicken noodle soup and ziti marinara so they almost look like the picture on the package. So if you're listening Medifast, please change the instructions on some of your meal packets. You can even keep the recipe as is but add a "For best results" suggestion that at least mentions the soaking option. After all, we're all in this to lose pounds, not our permanent teeth. After losing 30 pounds in just over three months, people keep asking me for my secret. When I tell them I lost my weight through Medifast, they want to know more about it. Yet, despite my success, they almost always have a reason why Medifast will not work for them. I was lucky that my kids were grown and my husband self-sufficient in the kitchen when I started Medifast. But even if that were not the case, I could have easily made family-friendly meals while staying OP myself. The Medifast lean & green meal can be easily supplemented with the family's favorite carbs, such as pasta or potatoes, and the MFer can fill the empty space on the plate with more veggies. Have you priced diabetes medication lately? Or knee replacement surgery? Carrying around extra pounds is costly, too. If you can lose weight by making healthier food choices, great. I tried that for five years until I finally answered Dr. Phil's question, "How's that working for you?" My honest answer: "Not too well." That excuse makes sense for those people who eat really clean. But if you eat packaged food from the supermarket, chances are you're consuming high-fat, high-carb processed food with empty calories. Sure, Medifast foods are processed, but the high-protein, high-fiber formula is designed to keep you full, nourished and satisfied. The promise of eating "real" food again was so motivating that it pushed me to reach the maintenance phase as quickly as possible. 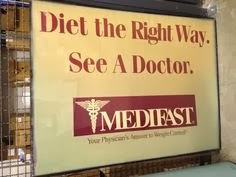 Admittedly, Medifast is not the only diet on which a person can lose weight. It just happened to be the one that worked for me. I got tired of making excuses for my extra weight and found a plan that helped me shed my extra pounds quickly and easily. Don't want a free health coach? Shop now for Medifast replacement meals through Amazon. 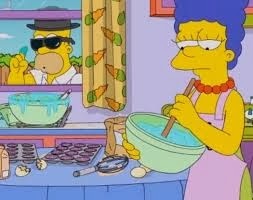 My first few attempts to make Medifast pancakes were more Marge Simpson than Martha Stewart. I ended up with a scrambled mess in my pan that tasted okay but looked nothing like the fluffy pancakes on the Medifast box. After reading some Medifast blog posts and forums, I figured out that I was not letting my pan get hot enough before I poured the batter. Though they are still not perfect, my Medifast pancakes are now kissing cousins to traditional pancakes in both texture and appearance. Recently I found a lazy way to cook Medifast pancakes that not only works well, but is also less messy than the pan method. A video on TSFL coach Nataliejo's iHelpWeightLoss YouTube channel shows a way to microwave the pancake in the same container in which you mix the powder and water. Instead of using the Medifast shaker cup, she blends the powder and 1/2 cup cold water with a spoon in a four cup glass measuring cup and then microwaves the batter for about 1:20. In another video, she makes a "muffin" out of the pancake, cooking the batter in a smaller measuring cup in three 20-second increments. Medifast pancakes have a decent flavor profile; so it is worth experimenting with different cooking methods to find one that gives you the best mouth feel. As with all Medifast foods, the official recipe on the packet is just a starting point and will not necessarily result in the best final product. After four months on Medifast, I really missed my carbs -- especially bread. In a recent post, I pondered whether I would ever eat bread again, attributing much of my 30-pound weight gain to the empty white calories that pillow-cased my sandwiches. Fortunately, I have found a possible solution to this problem -- Flatout Light Flatbread. While passing the sandwich section at Safeway last night, my eyes were drawn to a package of this flatbread. It's label proclaimed, "90 Calories, 43% Fewer Calories than 2 slices of wheat bread, High Fiber, 9g Protein, 74% Fewer Net Carbs than 2 slices of wheat bread." That sounded pretty Medifast maintenancy to me. I ordered a turkey wrap with avocado and loaded it up with veggies. Admittedly, the flatbread had that distinct healthfoody grainy flavor, but it tasted like heaven to me. 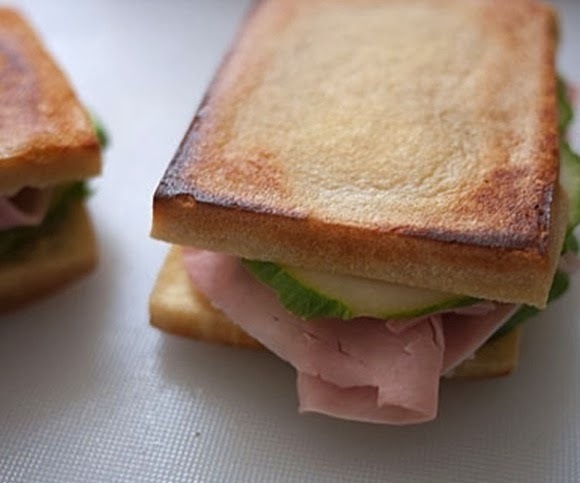 After weaning off the whites, I might even have enjoyed bread that tasted like cardboard, but this low-calorie, low-carb alternative was several cuts above. Salad with grilled goat cheese "croutons"
The Flatout website has oodles of recipes, but I don't think I'll need too much help dreaming up my own sandwich fixings. I'll also experiment with all four varieties -- Original, Italian Herb, Sundried Tomato and Garden Spinach -- to see which I like best. I may even try making pizza out of them. 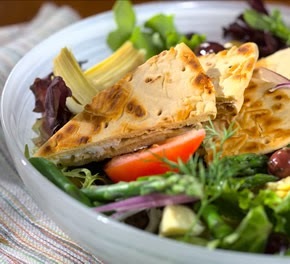 Or try the "crouton" concept on the website, grilling olive oil caressed wedges with goat cheese and serving with soup or salad. Part of the fun of Medifast has been trying new foods and replacing old favorites with new ones. 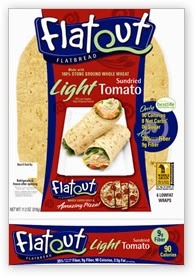 I have a feeling Flatout Light Flatbread and I will enjoy a long and happy relationship. Life After Medifast: Will I Ever Eat Sandwiches Again? 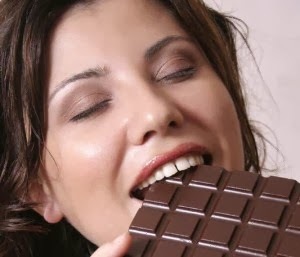 Medifast guru Dr. Wayne Anderson published a profound daily tip on his website recently in which he advised his followers to give in to their cravings. Sort of. 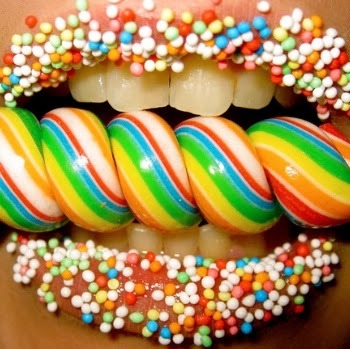 "The vast majority of our taste satisfaction- 95%- comes from the first few bites. When you have a hankering for something sweet, salty, creamy, extremely energy dense, or full of high-glycemic carbs, don’t just push that feeling away. Grab a teaspoon and take a bite. Just one. Wait a couple of minutes, and ask yourself “Am I satisfied?” Repeat up to three times over the next several minutes, while remaining in a mindful state. Ask yourself if continuing this behavior supports your primary goals." From my experience, the co-founder of Medifast's Take Shape for Life program and author of Dr. A's Habits of Health: The path to permanent Weight Control and Optimal Health is right. The more I resist my cravings, the more they persist. Craving chocolate? Try eating just one square. Fortunately, if I am craving something sweet or salty there is usually a Medifast replacement meal on hand -- like chocolatey brownies or chili cheese puffs -- to satisfy that craving. But in situations where a food looks just too good to pass up, I sometimes allow myself to indulge in just a taste. I do just as the good doctor suggests, chewing slowly and deliberately so that I fully savor the experience. At an Italian restaurant recently, a friend ordered an appetizer of cheesy garlic bread that silently dared me to indulge. I served myself a miniscule portion and enjoyed it thoroughly without any guilt or remorse. Cravings are a fact of life, and we do not always have to give in to them. But when they start to control our thoughts, we can take back our power using the principles of conscious eating and portion control. So how does this relate to Medifast? Unlike most diets, Medifast severely restricts your choices. The magic of Medifast is that it is highly structured and simple to follow. You can learn all the rules of this fat melting diet in about five minutes. Though my first Medifast order was hit or miss, I soon learned which foods I liked and which to steer clear of. I typically eat the same replacement meals at about the same time each day, making it a no-brainer as to what I am going to eat when. 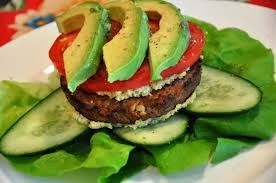 I keep my lean & green meals fairly simple, too, getting creative only when I have the time or desire. Do diets with too many choices cause anxiety? Medifast is much stricter, yet simpler than such popular diets as Weight Watchers, which allows you to eat any food on the planet as long as you consume only a certain number of points per day. (Or, as one dieter joked, "Weight Watchers teaches you how to save up enough points to eat ice cream at night"). We may live in a free country, but too much freedom of choice can be overwhelming. When it comes to dieting, less can be more. For me, more simplicity and more structure resulted in more compliance and more weight loss. Whether I can maintain this weight loss when my choices return is yet to be seen. After losing 35 pounds on Medifast, I am transitioning out of the 5&1 plan in which the traditional American sandwich lunch is strictly forbidden. Four straight months of no-bread meals has turned me into a sandwich-phobe. I picture gaining all my pounds back with just one pastrami sandwich. Obviously, this would not happen. It would probably take two pastrami sandwiches. Seriously, though bread was not the only culprit in my gaining so much weight, I now have definite bread issues. Since transitioning off Medifast, I have nibbled on some bread and even ordered a sandwich one time. I tried eating it open faced, but even that was too much bread for me. So I ended up eating the filling and a few forkfuls of bread for that nostalgic sandwich experience of which I had once been so fond. That's not bread -- it's tofu! Fortunately, we now live in a culinary climate in which other tasty options exist. Many sandwich shops allow you to turn your sandwich into some kind of salad. Even the fresh Mex places let you order naked burritos -- the filling sans tortilla -- served in a modesty-preserving bowl. Most burger joints will wrap your patty in lettuce instead of a bun. Meanwhile, foodie blogs abound on the web with no-bread sandwich ideas, using everything from eggplant and cucumber slices to stand in as bookends for the protein. Buzzfeed had a beautiful spread last March which included a recipe for a ham sandwich that used pan-fried tofu slabs instead of bread. 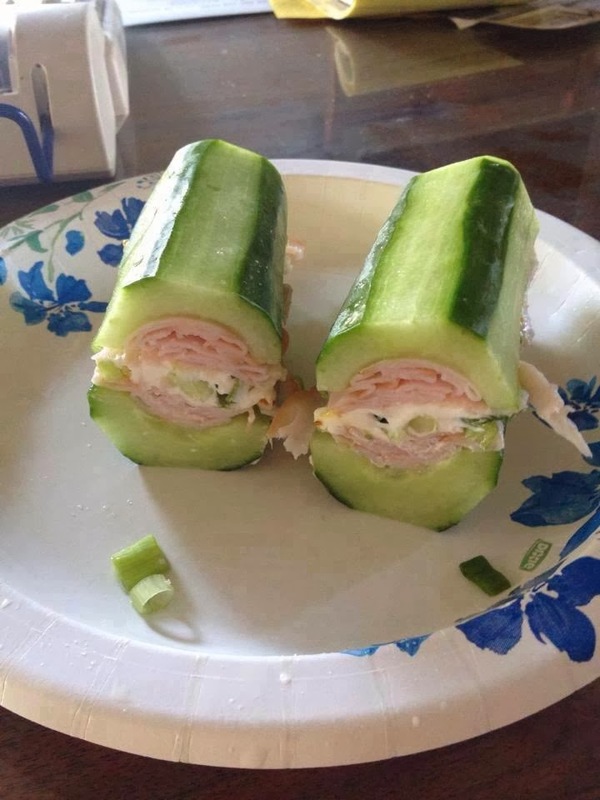 A poster on one of my Facebook Medifast groups shared a picture of a cucumber sandwich with turkey, Laughing Cow cheese and green onions, subbing a vertically sliced and cored cucumber for a hoagie roll. And South Beachers know you can use turkey slices as tortillas to wrap almost anything. Then there are all the wonderful skinny bread substitutes, including Noah's Bagels Thintastic bagels with fewer carbs and calories than the traditional doughnut-shaped bread, as well as whole grain wraps and high fiber tortillas. Only time will tell how the flour will settle in my relationship with bread. After our four month separation, we could be headed for divorce or morph into a more casual but cautious friendship. Is Medifast Enabling My Sweet Tooth? The biggest fear most dieters have is going back to their old habits after they reach their goal weight. Since Medifast is not a rest-of-your-life diet like Weight Watchers -- unless you want to keep buying their replacement meals forever -- I have wondered what it will be like when I don't have my brownies, chocolate shakes and chocolate chip soft bakes to replace higher-calorie similars when I wean myself off the food. One of the reasons Medifast worked so well for me is that when I've been tempted to eat a cookie or other sweet treats, I was able to pass them up since I could satisfy my sweet tooth with a Medifast replacement meal. But what will happen when I no longer have this crutch? One possibility is that I will continue to use Medifast replacement meals as snacks. I love having the brownie batter at the end of the day, and chocolate chip chewy bars are my perfect mindless munchy for working at the computer. Since I will no longer be in weight loss mode, I may also identify supermarket substitutes like Cliff bars that I find just as appealing. I also hope that my renewed love affair with fruit will help me satisfy my sweet tooth with blueberries, apples, tangerines, peaches and other natural sweets that are loaded with nutrients instead of empty calories. Will I occasionally indulge in bakery treats or birthday cake? Most likely. But since I will be in maintenance vs. weight loss mode, I can afford to indulge in moderation. That means one cookie, not two. A sliver of cake. A handful of almonds drizzled with melted dark chocolate for a healthy home made "candy bar." Medifast did not cure my sweet tooth, and I'm not sure that I wanted it to. But it has channeled it into healthier options and limited the amount I need to feel satisfied. Medifast Substitutes: What To Do When You Run Out of Medifast Replacement Meals? For some reason, Medifast shipping makes snails seem swift. We're talking Pony Express in the dawn of same-day delivery by drones. Being a mild hoarder, I have never run out of Medifast replacement meals. My spare room looks like a survivalist's pantry with various foodstuffs comfortingly lined up ready to be stirred, blended and/or microwaved. 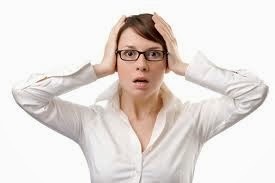 A poster on the 3 Fat Chicks on a Diet forum shared that when her shipment was delayed, Medifast nutrition support advised switching to three lean & green meals and eating two between-meal snacks containing one or two ounces of protein or a glass of skim milk. What I like about this suggestion is that it is not only very doable, but also gives you a taste of what your eating pattern might look like post Medifast, albeit with more carbs. This table is from 2009, so some nutritional values may have changed. 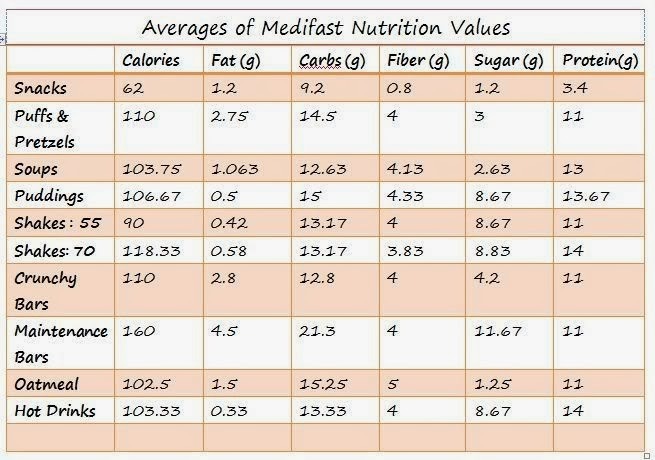 But overall these are the calorie/protein/fiber/carbohydrate ratios of Medifast replacement meals to match when looking for temporary Medifast meal substitutes. The DIY Medifast blog lays out principles for following Medifast without buying official Medifast replacement meals. Rules include eating only whole grain carbs and low glycemic veggies and consuming about 1200 calories a day. So far I have not had to try any of these options because in between shipments I have procured Medifast replacement meals through a Facebook swap group. But looking down the road, these tips could come in handy when I transition to life after weight loss and try to maintain my new healthier body. I was at the grocery store yesterday and bought blueberries. That may not seem remarkable to most people, but for me it was a big deal. Since starting Medifast in late September, not a piece of forbidden (read: all) fruit has touched my lips. for three months, fruit never tasted so good. Driving to work, I snacked on the blueberries and could not believe how deliciously sweet and flavorful they were. I savored each spherical burst of berriliciousness as if it were Godiva chocolate. What excited me about this experience was that I wasn't getting my sugar high from a Twix bar or chocolate chip cookie, empty calories that would make me feel edgy and sluggish. Instead, I was enjoying, as if for the first time, the natural sweetness and flavor of a so-called super food that is loaded with antioxidants and other healthy nutrients. It is possible that part of the genius of Medifast is taking fruit literally off the table so it becomes special once you are allowed to eat it again. As I transition off the Medifast 5&1 plan, my hope is that I will continue to view fruit as my "forbidden" treat instead of the cookies, candy and chips that got me into trouble to begin with. It's January and everyone is choosing sides. And I'm not talking football teams. January may as well be called Joinuary because everyone and their Aunt Milly is signing up for some kind of weight loss program or gym. The holiday feasting is over and now it's time to figure out how to fit into all those clothes in the closet whose zippers won't zip. 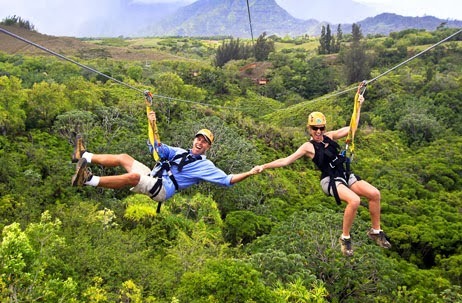 that feels like an adventure. Fortunately for me, I faced this problem last fall when I couldn't find a dress that fit for a job interview. I began doing Medifast at the end of September and successfully melted off 30 pounds in three months. Having tried almost every diet known to woman -- and losing weight with most of them -- I could have returned to what worked for me in the past. But I didn't want to go backwards. Part of the fun of a diet for me (if one can use diet and fun in the same sentence) is trying something new and different so it feels more like an adventure than a stint at rehab. I knew Weight Watchers was a good program, but I had "been there, done that." I didn't feel like going to weekly meetings and weighing in -- and counting points seemed like a big headache. After hearing some success stories from the media and friends, I opted for Medifast instead and was amazed by how quickly my extra pounds disappeared without me feeling hungry, dizzy or deprived. Like an anthropologist learning about a new culture, I loved having something new to research, digging into all the blogs, forums and recipe sites that explored ways to make the Medifast diet work better for me. Sure Weight Watchers works. So does the Dash Diet; the Mediterranean Diet; South Beach; Dr. Oz's diet du jour; and the old "eat less, move more." Anything works if you can remain compliant long enough for the formula to do its magic. But this time around I chose Medifast because it was new and different for me. The novelty factor made the diet fun, and the quick results made it easy for me to lose all my weight before the newness wore off. If you're a foodie like I am, one of the worst parts about dining out on most diets is finding something on the menu that allows you to stay on plan. Thanks to the modern mania for low-carb eating, I have found this hoop relatively easy to jump through since starting Medifast almost four months ago. On the Medifast diet I can eat one lean & green meal per day, which is basically 6-8 ounces of a lean protein (like chicken or shrimp), a huge serving of low-glycemic veggies and up to three healthy fat servings. Almost any restaurant menu, no matter how ethnic or home-style, offers options that follow this formula. At a basic American restaurant, for instance, I order a bun-less burger with mustard (turkey or veggie if they have it) and request extra salad with dressing on the side. I use the old Weight Watchers fork trick to get nano-drizzles of dressing with each salad bite and skip the fries, natch. When I have a yen for Japanese, I double up on grilled Chicken Yakitori and Sunomono (cucumber salad) sans dressing. I top the salad with soy sauce (low sodium, preferably), rice vinegar and a dab of wasabi for that extra flavor kick. Italian food without pasta has become a piece of cake for me. I look for an un-breaded grilled chicken, fish or seafood dish on the menu and a veggie side sautéed in olive oil and topped with grated Parmesan. Surprisingly, I don't really miss the noodles -- or that uncomfortably stuffed feeling later. At Mexican restaurants my favorite thing to order is Pollo Asado with a side salad, subbing salsa for salad dressing. This is especially good with some avocado mixed in for creaminess. The point is, before Medifast I was in the habit of eating way too many carbs when I ate out. I have been happily surprised by how delicious most restaurant food can be without them. I am even able to avoid the bread course or eat just a small bite of bread with a smidge of butter, savoring the experience as if I were sampling an expensive caviar. Of course, none of these restaurant meals are perfectly on plan. It's hardly a secret that chefs like to sneak in butter and other high-fat flavorings whenever they can. More importantly, I do the best I can with what is on the menu, knowing I am building life-long eating habits that will help me maintain my weight loss long after I have reached my final weight goal. 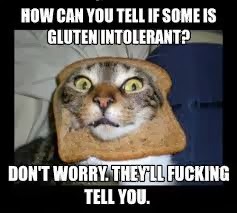 A friend told me a year ago she suspected I was sensitive to gluten, but I paid her no mind. Avoiding gluten sounded like a major hassle, and I didn't want to give up all the breads and pastas I loved. 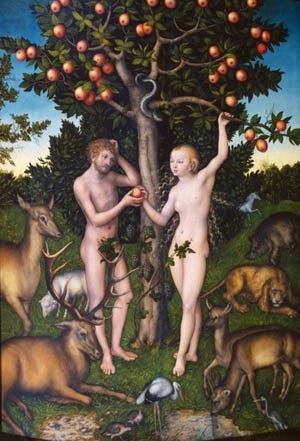 When I first started Medifast, I noticed the program had gluten free options, but I again paid no attention. The funny thing was, however, that almost all of my favorite Medifast foods turned out to be the ones without gluten, including the Dutch chocolate shake, brownie and chocolate chip soft bakes, chicken and wild rice soup, and chili cheese puffs. After a while I noticed that my hands, which had started to get stiff in my fifties, felt perfectly normal. Drastically cutting back on gluten had not only helped me lose my belly fat, but also reduced the inflammation in my joints. According to Dr. Oz, signs of gluten sensitivity include frequent bloating or gas; diagnosis of IBS or acid reflux; daily diarrhea or chronic constipation; migraine or headaches; joint pains or aches; brain fog; depression or anxiety; ongoing fatigue; and chronic eczema or acne. Of these, I suffered from only joint pain, rare bouts of acid reflux and, possibly, fatigue and brain fog. Since starting Medifast, none of these symptoms have been present. I feel more energetic and clear headed, my joints are rejuvenated, and I have had no incidents of acid reflux. A serendipitous byproduct of melting 30 pounds of fat with Medifast has been discovering that I may be sensitive to gluten. It will be interesting to see when I transition to maintenance and add more gluten back into my diet if my symptoms return. If so, I will know for sure that giving up gluten is the right thing for me to do. Like many successful companies, Medifast got its humble start when a frustrated doctor had trouble getting enough supply of the then-popular Optifast shakes to help his patients lose weight. Dr. William Vitale experimented with various formulations before creating a competitive high-protein, low-calorie shake to help melt off unwanted pounds. When Oprah lost a ton of weight with Optifast in 1988, diets involving shakes became all the rage, and Vitale's company -- Jason Pharmecuiticals -- reaped millions of dollars in profits. 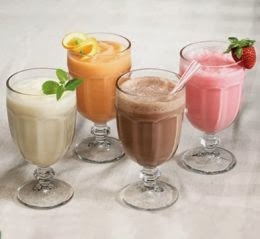 Not surprisingly, many people still think of Medifast as solely a liquid replacement meal diet, even though shakes are only one of the many meal options these days. I still love the shakes for a quick on-the-go replacement meal, especially Dutch chocolate blended with crushed ice in my Hamilton Beach mini blender, which has a handy travel container that fits nicely in my car's cup holder. But if all I could consume were shakes, I doubt I would have sustained my enthusiasm for Medifast. These days, I can choose from "meals" like chocolate chip chewy bars, chili cheese puffs and ziti marinara, providing enough variety to keep me interested and satisfied. in the Medifast program, eliminating the high cost of joining a Medifast center. Instead, I purchase my food online through my free Take Shape for Life coach. With so many meal replacement options, I never get bored and am able to resist the temptation of cheating with virtually no willpower. Interested in learning more about Medifast's history? Read this fascinating article, "Medifast: A Soap Opera of Success," which discusses the ups and downs of the company's publicly traded stock. It's a new year and Dr. Oz has introduced another new weight loss diet. Not surprisingly, it is remarkably similar to Medifast in some ways. Plenty of low glycemic veggies, high protein, minimal carbs. Obviously, this formula is the best way to melt pounds rapidly. 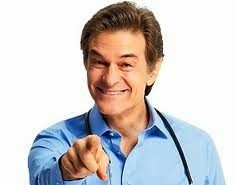 Dr. Oz: "Have I got a diet for you!" The biggest difference between Oz's diet and Medifast is that his plan consists of only real whole foods, with no convenient replacement meals. While this is preferable in the long run, the Dr. Oz 2-Week Rapid Weight-Loss Plan is ultimately just another version of South Beach or Atkins, minus the dairy (except for Greek yogurt). No doubt Dr. Oz's diet will work well for people who can sustain it. However, it requires more work to fix all the food, making it easier to cheat and slip off the diet. With Medifast, the meals are practically pre-made so I had no excuse to eat something else. Dr. Oz's diet could work well for people who have plenty of time and desire to fix healthy meals and snacks. I can even see adapting some of his plan's concepts into my maintenance phase, especially the detox vegetable broth, loaded with nutrient rich greens and root vegetables. However, since Oz's plan does not include such temptation-fighters as chewy bars, brownies, ziti marinara and chili cheese puffs that eliminate the need for super heroic willpower, I'm not sure I personally could have lost 30 pounds in three months on his program as I did with Medifast. My daily breakfast before Medifast was a cheese quesadilla made with a fluffy flour tortilla and generous scoop of grated cheese in my Cuisinart Griddler. If I was out of tortillas, my husband would actually go to the store and procure a new package -- that's how addicted I was to this breakfast (and how lucky of a wife I am). My favorite breakfast before I started Medifast. 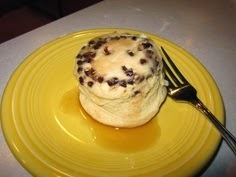 No doubt this breakfast was a contributing factor to my getting fat, but I was hooked. Or thought I was. Here's how Medifast helped me kick this bad habit. On Medifast, the foods you eat are strictly prescribed by the 5&1 plan. 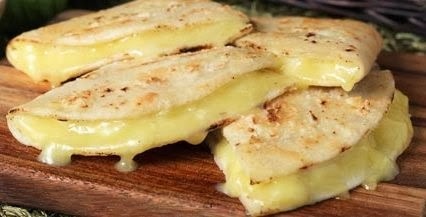 Quesadillas with cheese oozing out of the sides are not one of the replacement meal options. Thus I was forced to go outside of my comfort zone until I could find another breakfast option that would be as satisfying as my quesadilla. It took a few weeks, but I finally happened upon a perfect replacement -- chocolate chip soft bakes mixed as directed and microwaved for only 30 seconds. Somehow the texture and combination of saltiness and sweetness hit just the right note for my morning taste buds, and I again looked forward to getting out of bed to have a great breakfast. Had I not started Medifast, I would likely still be indulging in my former high-fat, high-carb breakfast, perhaps cutting back on the cheese a bit or opting for a higher fiber tortilla. It took a drastic change for me to give up this habit altogether and find a radically different alternative. Will I keep eating Medifast chocolate chip soft bakes after I reach my goal weight? Possibly. Or I may find another healthy alternative that will become my new breakfast habit. The stimulus of starting the Medifast plan successfully changed my breakfast habit after several years of just trying to eat healthier and cut back on bad food.